Death, taxes and the flu. If there’s one certainty about Iowa winters, it’s that influenza is an ever-present threat we have to keep our guard up against, even during the mildest of Hawkeye State winters. But despite all the information available on the realities of the flu, there still many myths, old wive’s tales and influenza legends that many people mistake for truths during the sickliest time of the year. The best way you can keep yourself, family, friends, neighbors and coworkers safe from the flu’s misery is to know the facts of influenza. Here are some not well-known, but cold, hard facts about influenza that can keep you healthy, on your feet, and most importantly, flu-free while we wait for the sweet sun and warmer days of spring and summer. No one ever said the flu fights fair. Believe it or not, you are contagious before you even realize your sick. The flu virus can incubate in your body for one to four days before you show any symptoms. This means you are contagious before you even start to feel sick, which makes washing your hands properly, covering your mouth when you cough or sneeze, using hand sanitizer when soap and water aren’t available, and throwing away dirty tissues quickly essential. While there’s no disputing the immune system-boosting power of Vitamin C, research confirms that supplementing with Vitamin C doesn’t offer protection from acquiring a cold or the flu. “Studies have found that in some, but not all cases, Vitamin C, as an isolated strategy, may help to reduce the duration of the illness, but not protect you from it,” Dietitian Linda Drummond told Health 24. It’s not just covering our cough and sneeze that we have to remember during cold and flu season. A study published in Proceedings of the National Academy of Sciences found simply breathing is enough to pass on the virus. Sorry, Lacey. Unfortunately, that’s exactly what we’re saying. Just like humans, animals can catch and transmit the flu through sneezing and coughing. As we mention regularly here at B4 Brands, the flu vaccine is our greatest flu prevention method, but it is not impervious, due to influenza’s nefarious ability to prevalently morph from one strain to another from season to season. The vaccine reduces the risk of the flu between 40 to 60 percent during flu season. As CNN reports, how effectively the vaccine protects you against the flu depends on how old you are, how healthy you are and how well this season’s vaccine matches your area’s prevalent strain. Why is wiping down areas after we sneeze or cough on them so important? Because the virus can live for up to 48 hours on hard and nonporous surfaces. Also, remember that dirty tissue you’ve had in your pocket since lunch when you had that slobber-knocker of a giant sneeze? Throw it away, ASAP. 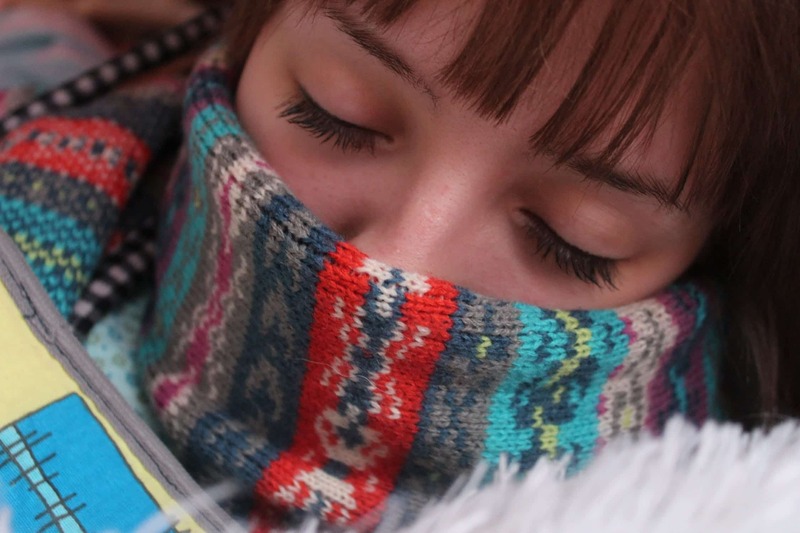 For the flu virus can live on tissues and clothing for up to 12 hours. 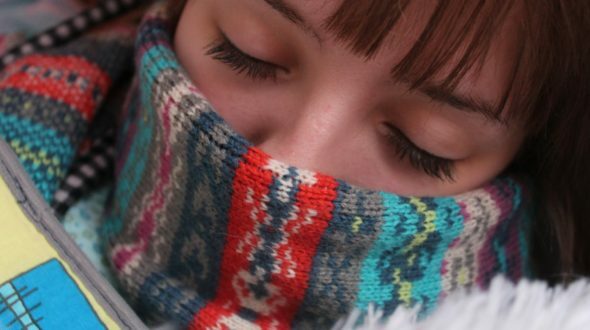 It’s an understandable flu myth that’s existed since the first flu season hundreds of billions of flu cases ago, but the bitter cold of winter alone doesn’t cause the flu. The straight truth of the flu and common cold is there are over 200 viruses that cause the symptoms that we know as the common cold. While Rhinovirus and enteroviruses are the most common culprits behind the cold, there are so many viruses that cause these symptoms, there may never be a cure for the common cold. And until we have a surefire, 100-percent proven true defense against the cold and flu, we must always remain on guard and know the cold, hard miserable truths about influenza.